With the days beginning to get shorter, kids are back in school, and the fall season is almost upon us. 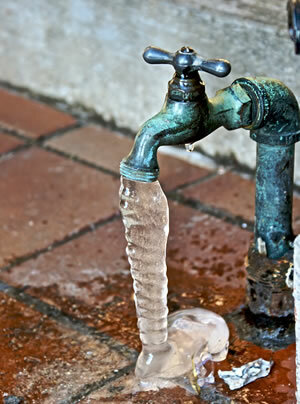 If you haven’t started thinking about winterizing your plumbing system then it’s probably a good time to start now. 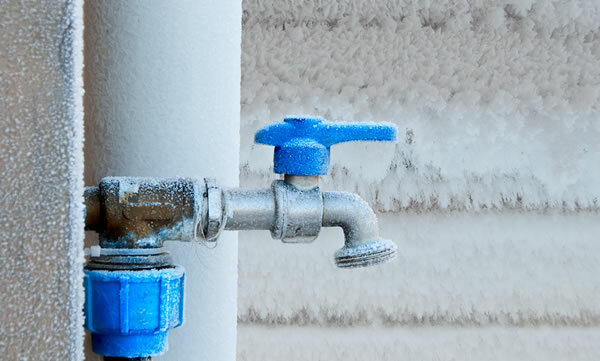 When the temperature drops below freezing, plumbing systems that haven’t been properly winterized are prone to failure in a number of ways. 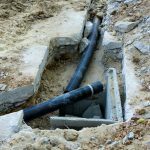 They are all usually very expensive to fix so this article will help guide you through what is involved with winterizing a plumbing system for a home or even a small commercial building. As a homeowner there are some preventative steps you can take to ensure that your plumbing system is ready for the winter season. Now, when water freezes… It expands. So one of the main tasks when winterizing the plumbing on your home is make sure there is no standing water in the system, primarily the exterior piping such as outside taps and hoses. #1. Remove All Outdoor Hoses. Drain them and then coil them up and hang them in your garage or a shed for the winter. #2. Turn Off Your Outside Water Valves. Usually these are located near your hot water tank and pressure tank system if your home is equipped. It can be confusing if you have a complex plumbing system with many bathrooms and outside taps but generally most homes will have only 1 or 2 shut off valves for the outside taps. You’ll want to shut these valves. #3. Drain What’s Left. Once you’ve shut the actual water off to the particular tap you are winterizing you can then turn the tap on and drain what remaining water is left in the line. This simple precaution would have saved many of our customers from emergency plumbing repairs in the middle of winter because a pipe has burst. As a plumber we almost shouldn’t be sharing this information because these types of calls keep us busy throughout the winter! The reality is these plumbing problems can be a very big inconvenience for the family or household that has been affected. Depending on how extensive the damage is, or where the pipe has burst it can expensive to repair. Have you had trouble with leaky pipes in your home in the past? Do you have any leaky faucets, outdoor taps or pipes that you know about, but have been putting off the repair? These tiny leaks can become big problems if left unchecked so it’s very important they are repaired immediately when you discover one. Don’t put it off! It’s a good idea to inspect all of the exposed piping in your home and outside your home. You may have exposed piping in closests, under the stairs, in your attic, your crawlspace or even outside. For the small amount of time it’s going to take to visually inspect everything you should be doing this every couple of weeks during the winter if you want to be diligent. 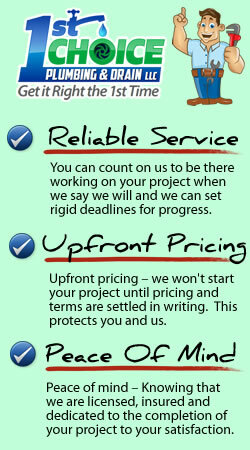 Readily available at most hardware stores you can pickup pipe insulation quite inexpensively. It’s a good idea to wrap any exposed pipes with proper pipe insulation as this will offer a certain amount of protection against the cold. There are many different types of pipe insulation but you don’t need to get really fancy. The standard foam pipe insulation you find at your local hardware store will work just fine for most cases. Just remember you only really need to insulate the piping that is exposed to areas that could potentially freeze. You won’t need to wrap all then piping in your home. Have you ever been forced to take a cold shower on winter morning before work because your hot water tank wasn’t working? Trust us… You don’t want to. One of the most over-looked part of most homeowners plumbing systems is the hot water tank. While you are doing maintenance to the rest of your plumbing system to get ready-for-winter you can also do some small things to ensure your hot water tank can operate at peak efficiency too. 1. Drain your hot water heater to remove sediment from the tank. 2. Inspect all lines to and from the hot water heater for damage or leaks. 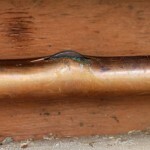 It’s not uncommon for the soldering around hot water piping joints to eventually crack or develop tiny leaks. It doesn’t take much movement in the piping to actually work-harden the soldering over time and if the copper tubing get’s jolted a few times a year it could easily spring a leak at a joint. If you take a piece of thin metal or plastic and bend it back and forth over and over, it eventually breaks. This is called “work-hardening” and it’s also a common occurrence in plumbing systems, especially when there is any lateral motion involved or pipes getting knocked or bumped around. This is very common in homes where the plumbing systems might also be located in the storage area so you might be piling stuff up around pipes and unintentionally knocking them. Although not common, there are still many homes in the Cleveland area that rely on sump pumps to keep their basements dry during the wet weather months. An annual inspection to make sure the system is working correctly is an important preventative maintenance measure. If you don’t know how your sump pump system works, or if it’s even working then you should contact a professional plumber to inspect your system for you. Many homeowners have absolutely no idea where the main shutoff valve for the water on their home is. If it’s an older home it might be very tough to find, on newer homes there is often more than one shutoff valve so you can shutoff the water to a particular area or tap. Spend the time to locate your shutoff valves and if you have more than one spend a little extra time and mark them appropriately so your job will be easier in the future. When a plumbing disaster strikes it’s often the water damage AFTER the plumbing problem that is so expensive to fix. Knowing how to shut off the water before a plumber arrives could save you from expensive repairs and further damage to your home. 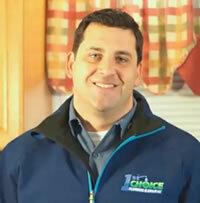 Who Winterizes Plumbing Systems In The Cleveland, Ohio Area? 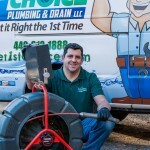 1st Choice Plumbing and Drain is a full service plumbing contractor based out of Parma, Ohio and serving the entire Cleveland, area. If you are a diligent homeowner and you don’t mind spending a few hours to maintain your house then hopefully these tips will help you prepare your plumbing system for winter. For those of you who would rather have an experienced plumber inspect and winterize your plumbing systems give us a call and we’d be happy to come out to your home or building and give your plumbing the 1st Choice treatment.